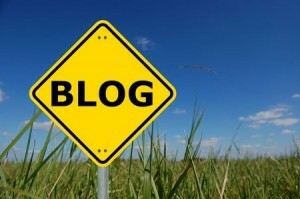 A blogger’s goal is to create content and have it be enjoyed by a wide variety of visitors. The more visitors you can drive to your blog, the better the chance that your blog will be able to generate revenue, conversions and otherwise be viable for the long-term. At a certain point, however, you may realize that traffic coming to your blog is too varied to capitalize upon any one particular theme or subject. This often happens when bloggers see success in a given category and try to replicate the effect across multiple niches. Believe it or not, this is usually a bad decision. Below, we will talk about how you can refine the traffic coming to your blog, so that you can optimize content creation and conversions. When you try to appeal to everyone, you will wind up pinging users across multiple niches successfully. Unfortunately, this will ultimately result in you securing fewer dedicated readers, as the ability to focus and provide analysis in a particular niche is what creates long-lasting and dedicated communities. In order to center yourself once again, ask yourself who your targeted audience is, who is the most likely type of person to read your blog and why you started writing your blog. Once you have a clear answer to each of these questions, you’ll then be able to dedicate yourself going forward to a content strategy that appeals to this particular audience. With a targeted audience outlined, it is now time to begin digging into what they enjoy reading. Comprehensive market research on various demographics already exists, but you may find that the niche in which you write will require more research on your own time. If you have individuals who comment regularly, look at their profiles. If they are using a universal commenting account such as Disqus (or a social media network like Facebook), follow the trail and find out what they comment about the most. This research may reaffirm that your targeted audience and content match up well, or that you need to shift focus to a different subset of your niche. You can build further relationships with a given audience by reaching out to blogs that also serve them in a similar way. One way to do this is to volunteer writing guest blog posts for these blogs. Most blogs will be happy to publish a well-written piece of content with a backlink and mention of your own blog included. Another way to be pinging users consistently is to ask for direct links back once you have built a relationship with the blog. This will increase the amount of viable traffic you are receiving from other sites, and can also help boost authority and visibility in search engines. If your blog has been straying from its original purpose, then it is time to get back to the basics. You can refine your blog traffic by narrowing down the audience (by being more selective about content publication), by learning more about your readers’ tastes and preferences, and by connecting with other blogs in your niche.